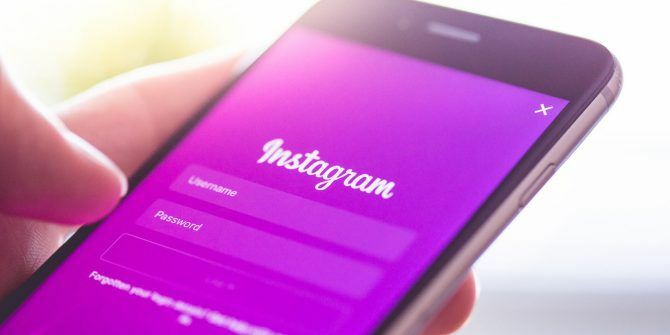 If you’re the kind of person who struggles to pick just one photo of a particular day or event to share on Instagram, you’ll love Instagram’s multiple photos feature You Can Now Post Multiple Photos on Instagram You Can Now Post Multiple Photos on Instagram Instagram is finally letting ordinary users share multiple photos in a single post. This means you'll no longer need to pick that one perfect shot worth sharing on Instagram. Read More . Introduced early last year, it allows users to add multiple photos or videos to just one post. Tap the + button to create a new post. Tap the Select Multiple button. (This may appear as text or as an icon). Scroll through your camera roll and tap up to 10 photos or videos to add to your post. They will appear in your post in the order in which they were selected. At this point, if you’re not happy with the order the images appear, you can tap and hold the image you want to move and drag it to a new spot in the lineup. If you want to remove an image drag it to the top of the screen where a trash can icon will appear. If apply an Instagram filter, the filter will be applied to all images. If you want to use different filters for each image, you’ll have to tap them, and make a new selection. The rest of the process is identical to sharing a single image or video: fill in your caption The Best Instagram Caption Apps for Android and iOS The Best Instagram Caption Apps for Android and iOS This article lists the best Instagram caption apps to help you find the best captions to post alongside your Instagram photos. Read More , and tap Share. The final product is a carousel or slideshow of images that allows you to share a series of photos that tell a story or allows you to show your work from multiple angles. When posted, the first photo you selected will appear in your followers’ feeds. If they open the image, they can then swipe through the multiple images to see everything you’ve posted. Using this method is great if you want to share a lot of detail in each image. It’s also a great way for artists to demonstrate process. For example, you could post a photo of your final product, a long with a short video demonstrating how you made it. Photographers can use it to show behind-the-scenes images. If you prefer to grab people’s attention instantly, you can create a collage of multiple images using Instagram’s Layout app Create Easy Photo Collages for Instagram With Layout Create Easy Photo Collages for Instagram With Layout While there are plenty of ways to create collages without Photoshop, Layout's focus is on simplicity and the ability to share the images quickly with Instagram and Facebook. Read More , or any other similar app of your choice. Do you use Instagram’s multiple photos feature? Have you found any creative uses for it? Let us know in the comments.